Is the European Union program in the field of education, training, youth and sport for 2014-2020. Sector for Youth activities – mobilities, strategic partnership and dialogue with decision makers. The use of violence through: persecution, intimidation, harassment, ridiculing other people using the Internet and electronic tools such as: SMS, e-mail, websites, discussion forums on the Internet, social networking sites and others. A toolkit with basic information, tools, methods for CyberViolence Trainers. A main result with information about cyberviolence, its’ causes and effects, how to avoid it. Handy, colorful, comic book for Youth to avoid violence in the Internet. Brochure which can helps caares, parents to show their children what the cyberviolence is. The Institute of New Technologies has been established to promote new technologies, enterprises and new investments in Łódź and its region. Institute undertakes social and business projects. Direct Association from 2009 supports education and training for all age groups, through co-operation and work with Centre for Trainings, funding programmes such as the Lifelong Learning Programme. CCS creates learning experiences that suit your audience and goals. CCS conducts workshops, preapre project roadmap, evaluation, content authoring and development, eLearning Environment. 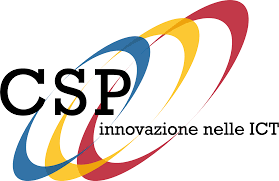 CSP-Innovazione nelle ICT is a non-profit research center, performing applied research and technology transfer in the ICT domain. CSP is acknowledged as Reasearch Lab by MIUR, the National Ministry of University and Research.